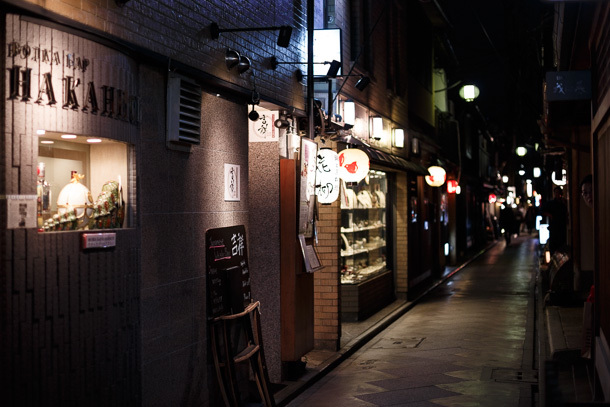 Pontochō (先斗町) is a pedestrian alley lined with upscale tea houses, restaurants and bars in downtown Kyoto, running north-south from Sanjō-dōri to Shijō-dōri, flanked by the rowdier Kiyamachi-dōri nightlife district a few meters to the west and the Kamo River on the opposite side. 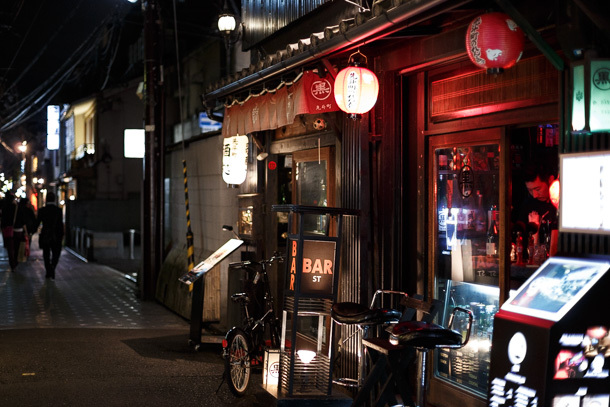 The alley is built on reclaimed land that was part of a riverbank reinforcement project in the mid 17th century. 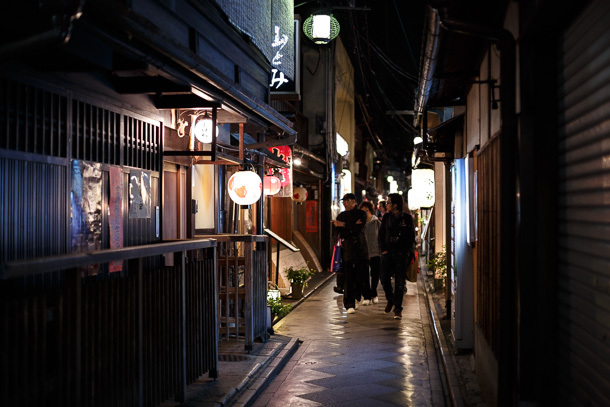 Pontochō is one of the city’s several historic entertainment districts, with some of the best preserved examples of traditional wooden townhouses (町屋 machiya), and many consider it to be one of the most picturesque places in all of Kyoto. 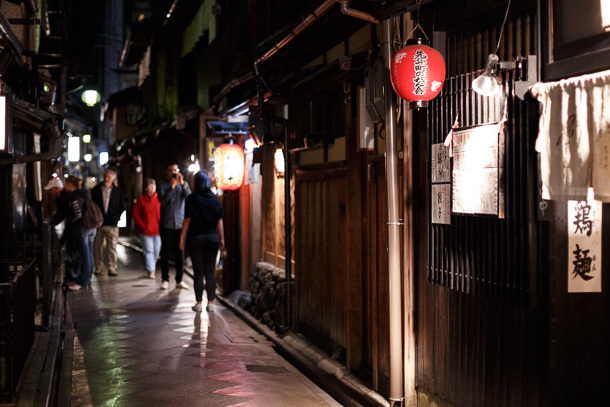 Anyone who has cracked open a Kyoto tourism guide or visited a travel website has probably heard at least a little about Pontochō. 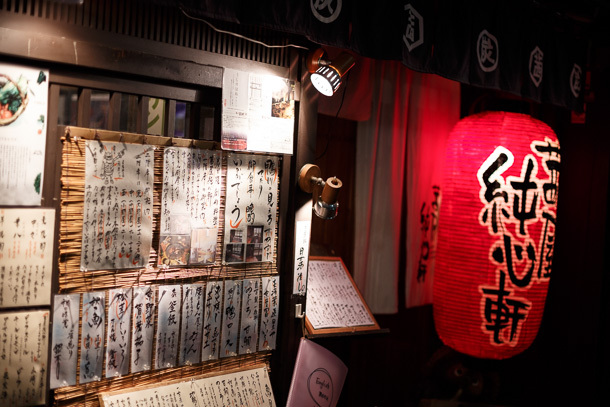 These resources, along with travelogue style vacation bloggers, tend to focus mostly on things like which restaurants have the most foreigner accessible service and where the best places are to spot maiko and geiko. This is not that kind of post. 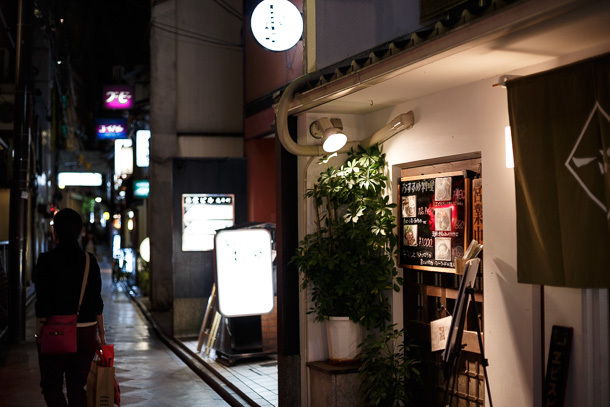 I like Pontochō because it is a great example of the urban planning concept of enclosure. Enclosure theory has technical definitions that include things like width-to-height ratios and can very quickly become too wonky and indecipherable beyond the planning realm, but I think most people will recognize the sensation of walking through pedestrian space that has both its own distinctive character and human scale proportions. 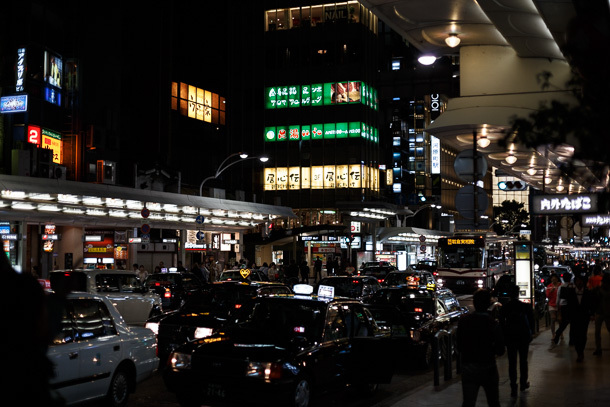 In most parts of North America, enclosure is conspicuous by its absence, the result of motor vehicle traffic prioritization in planning models. 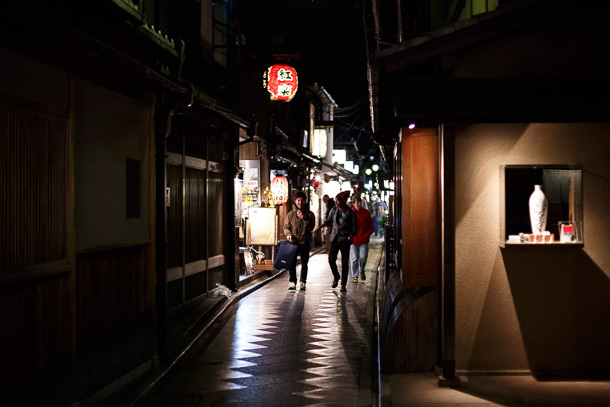 The blog Small Streets highlights examples from around the world of the kind of space that develops when a street’s size precludes the entry of cars (or at least through traffic), allowing for pedestrian oriented design and street culture to flourish. 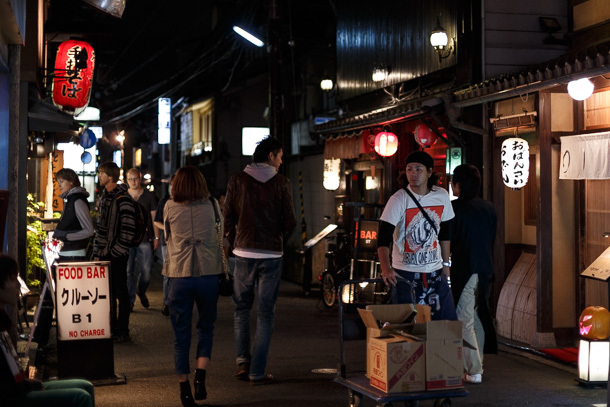 Pontochō is the primordial small street. 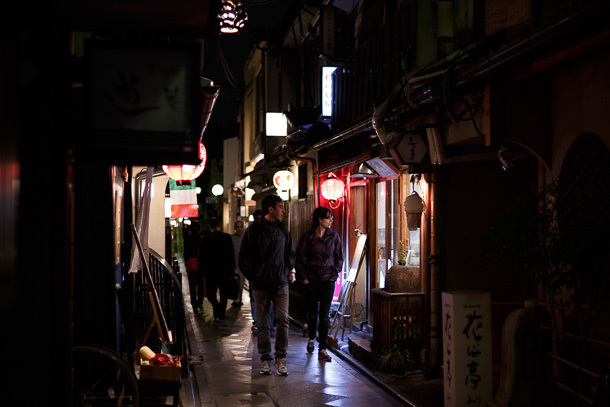 Large buildings and wide streets are optimized for visibility and accessibility by vehicles, and discourage walking. I experience this on a daily basis in Beijing. 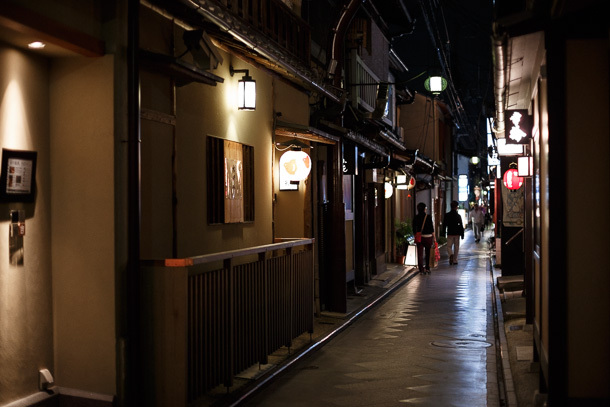 By contrast, the narrow alley and smaller buildings of varying heights and facade styles in Pontochō are like an open invitation for you to poke around. 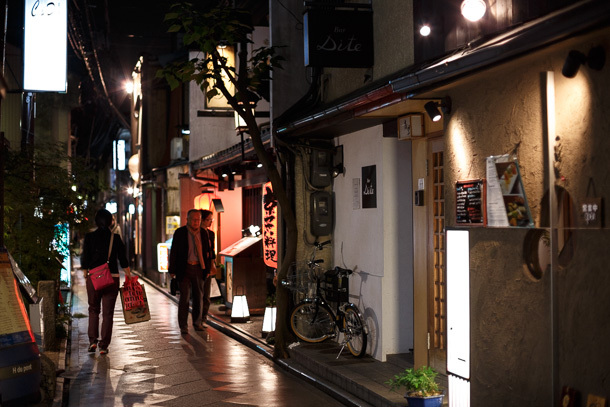 This street wants you to walk all over it. 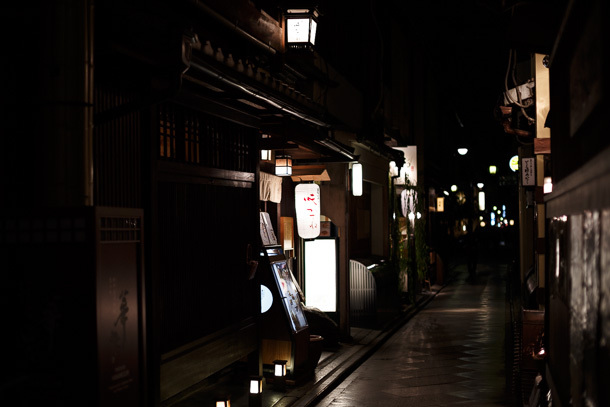 Some of the granite pavement has a slight gloss, not enough to be slippery but enough to reflect the dim light from shopfront lanterns. 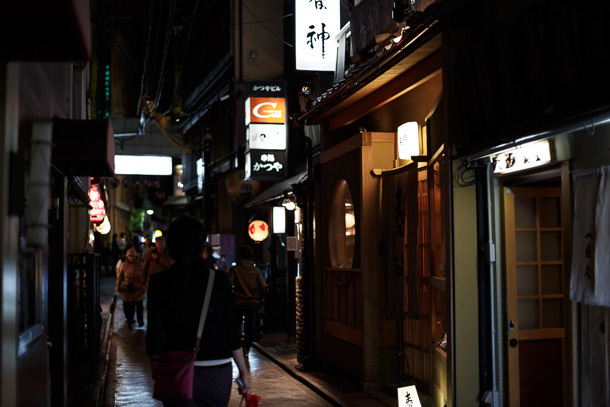 In some sections the ambient light is quite dim, emphasizing the effect of the lanterns marking shop entrances. 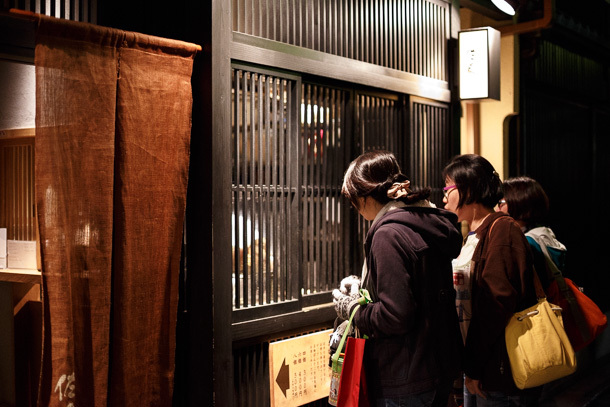 In machiya, windows are either small or obscured by wooden lattice (格子 kōshi) and do not offer clear views into the houses. The effect is to create an additional layer of sub-enclosures within an already cordoned off space. 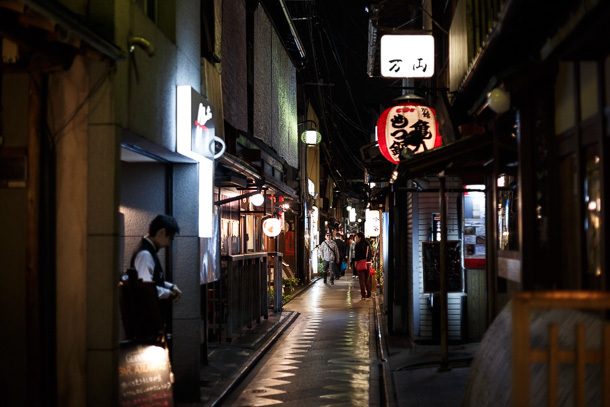 The many alleys that connect Pontochō and Kiyamachi-dōri have a similar feeling. 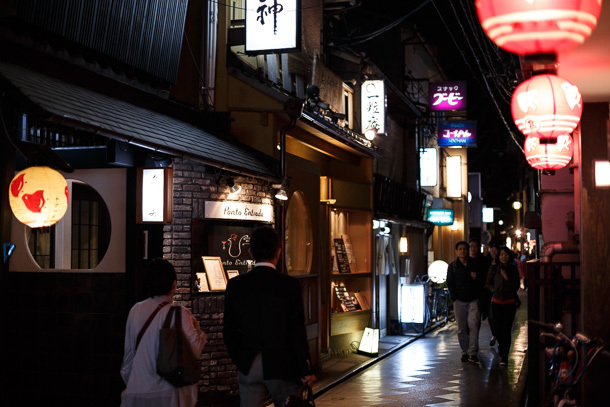 Where Pontochō exits onto Shijō-dōri at the southen end, some of the machiya have been replaced by modern structures. 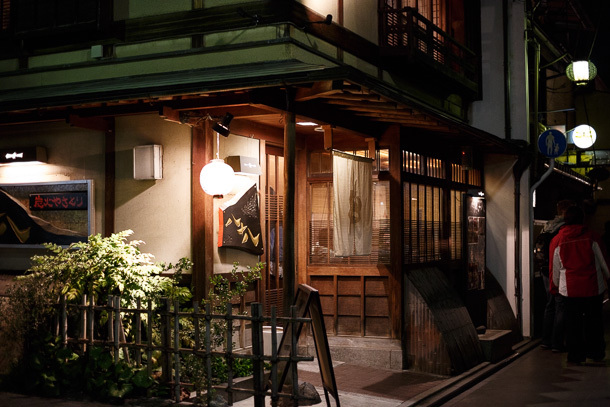 The establishments on the east side of the alley have large windows with views of the Kamo River. 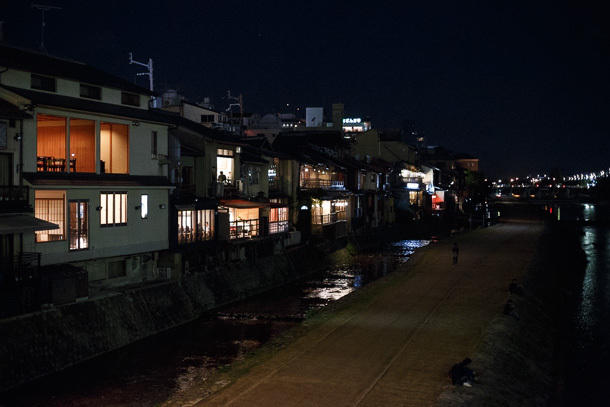 In the warm months, temporary platforms are built to allow diners to sit over the flowing river in a practice known as kawayuka. 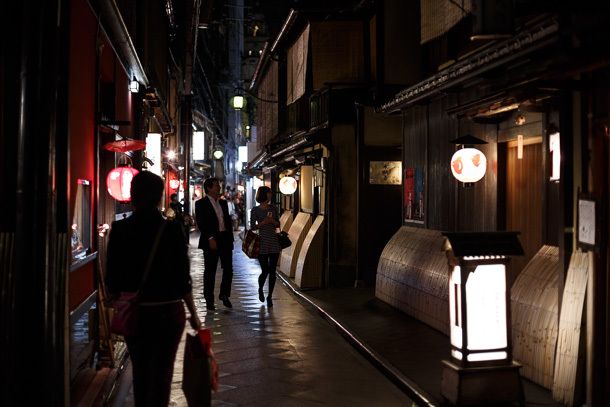 Emerging onto Shijō-dōri reminds you how close you were to the modern world throughout the entire stretch of Pontochō. 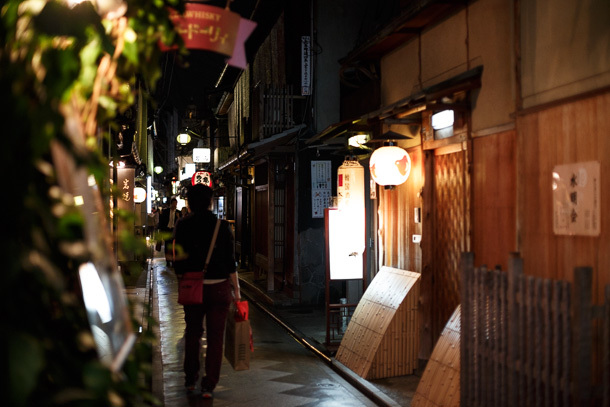 In this, we see how much enclosure can influence perception of place. 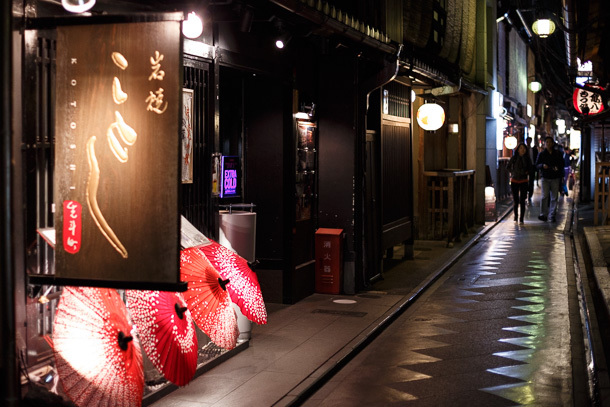 Though a handful of neon and backlit signage has infiltrated from the neighboring street, the scale, boundary definition and design textures in Pontochō make it easy to forget what time period you’re in. 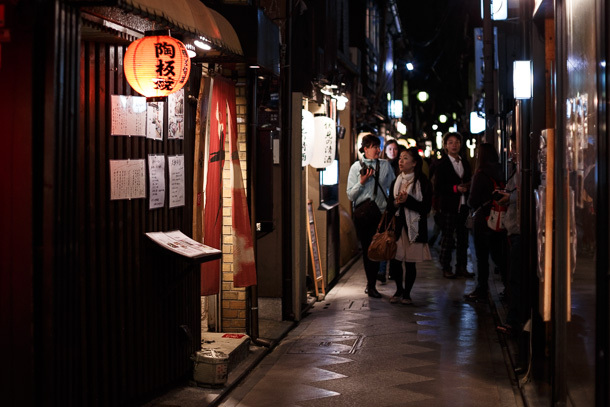 Public spaces don’t need to look like historic neighborhoods to provide a rich experience. 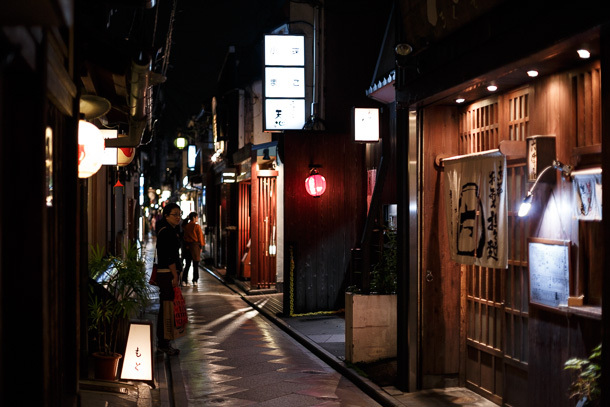 Pontochō just illustrates how well-executed enclosure can completely define a space, in whatever style is most context appropriate.